Observation - Drone-fly? - UK and Ireland. Description: I just snapped this last August and assumed it was a bee but now I've looked more closely and found some hover-fly details, the Drone-fly looks more likely. 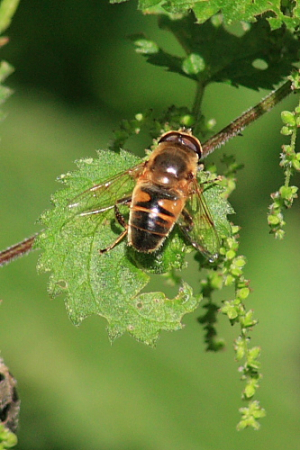 I just snapped this last August and assumed it was a bee but now I've looked more closely and found some hover-fly details, the Drone-fly looks more likely.